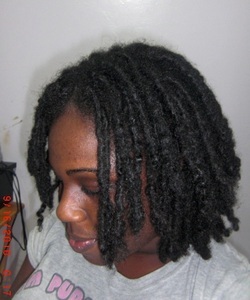 01-17-2009 was the birth day of these dreadlocks. 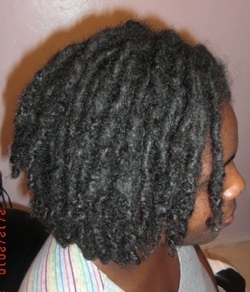 as of 02-17-2010 will make them 12 months old. 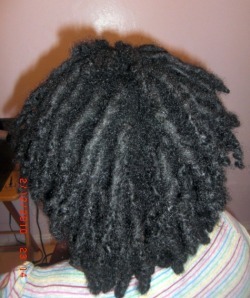 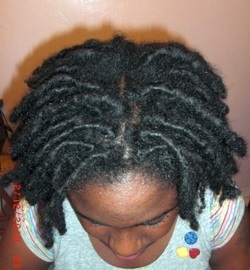 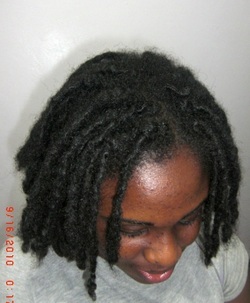 This picture is to show that you can have a new & beautiful Dreadlocks, without going through the ugly stages. 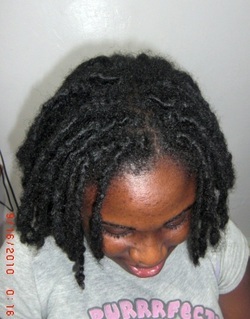 (It all depends on the length of your hair). 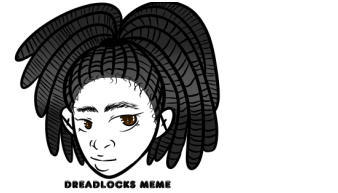 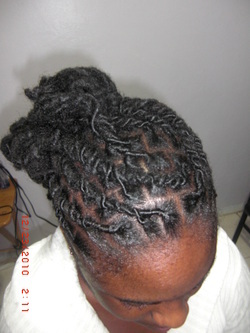 New Dreadlocks: As the Dreadlocks grow there is more style that can be done. 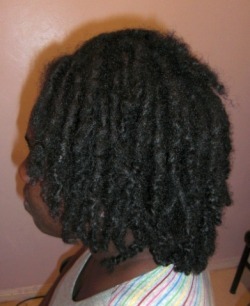 The proper maitains of Dreadlocks will enable the Dreads to grow Strong and Healthy. 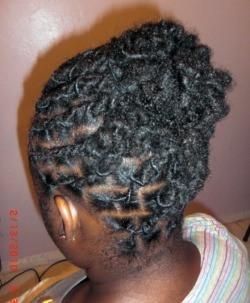 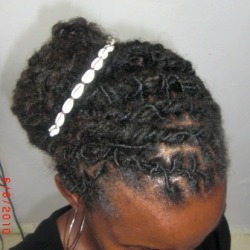 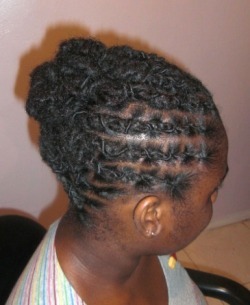 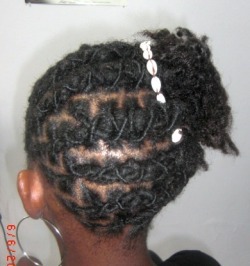 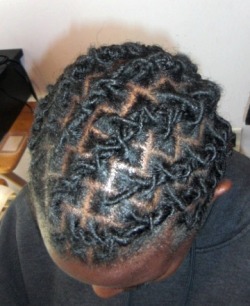 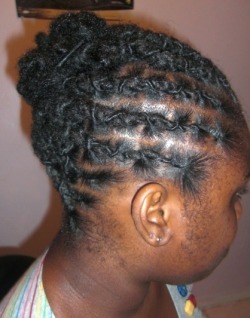 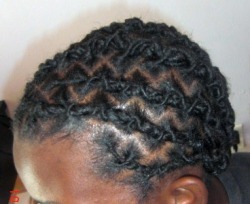 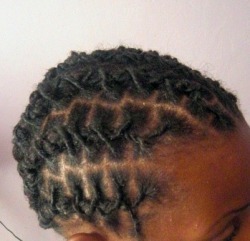 New Dreads: A Style, with a nice shell decoration. 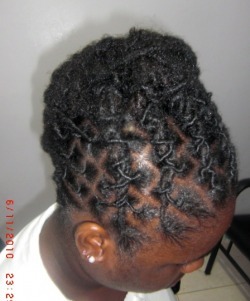 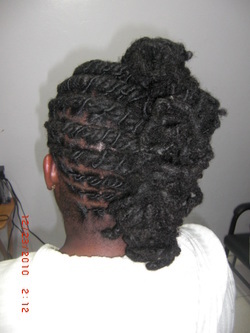 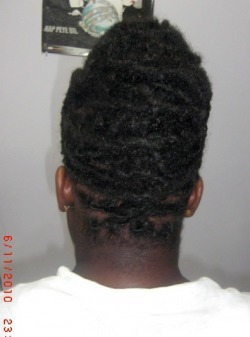 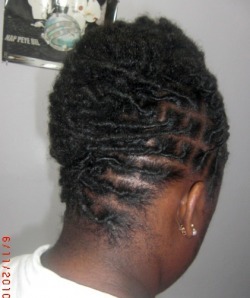 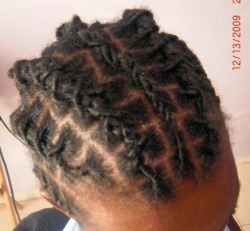 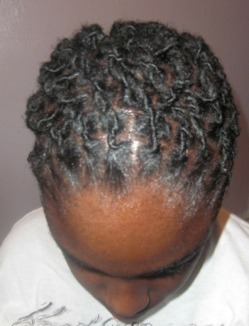 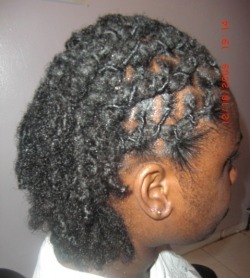 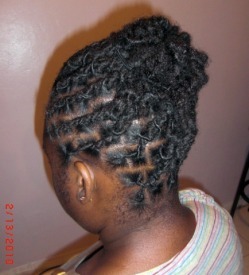 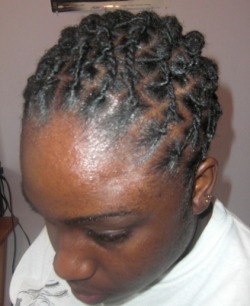 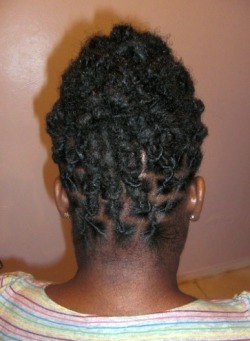 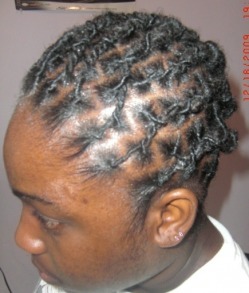 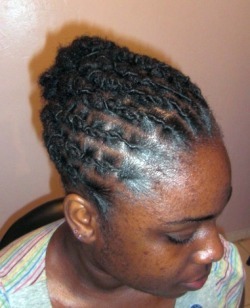 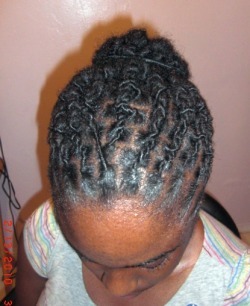 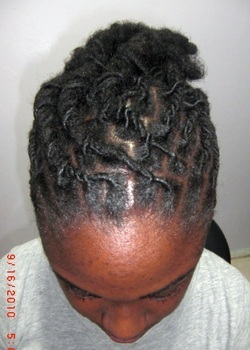 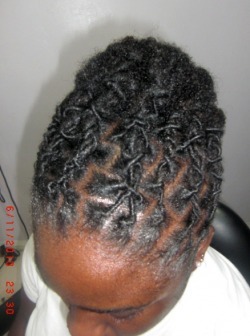 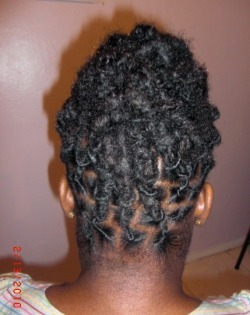 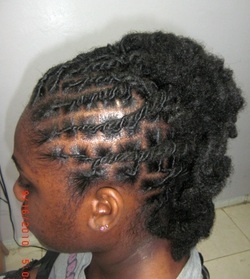 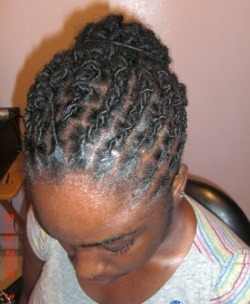 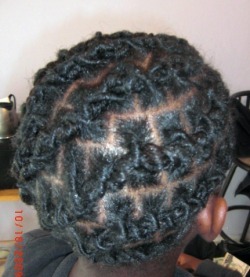 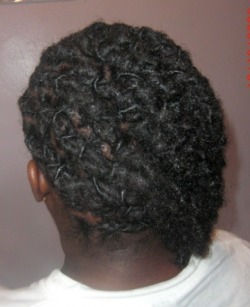 There is many different style that can be done on a new Dreadlocks and avoiding the ugly stage.